It's no secret that being a contemporary principal involves wearing many hats and juggling multiple tasks. Not surprisingly, this myriad of duties can distract principals from their core job of delivering quality teaching and learning. However, one organisation has set out to remove a complex and often time-consuming task from principals’ to-do lists – managing their school’s marketing and communications. 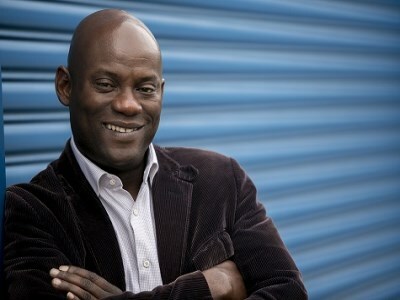 Roberto Omozusi is the director of Principal Creative Communications (PCC), an organisation comprising of communications experts helping schools develop their own unique brand and stand out from the crowd in an increasingly competitive environment. Omozusi, a chartered marketeer, told The Educator that he knew he was on to something when principals approached his agency for help in this area – one that many school leaders are simply too busy to manage on their own. “The job of principal has never been harder. What’s driving that? Changing audiences – and technology is driving that change,” he said. Omozusi added that Gen-Y parents in particular are not only digitally literate and able to access information more quickly, but are consistently on the hunt for the ‘right fit’ school for their children. “The way we benefit principals in this respect is that we help them identify their schools’ values, develop a brand and then communicate that brand out into their community,” he explained. “Schools on the whole are very traditional organisations, so we’re here as communications experts so that principals don’t need to be." He pointed out that many schools – while having successful learning programs and strong cultures – lack the marketing and communication expertise that his service offers. “Schools are very good at helping create inspired students who want to make a better Australia, but one thing they’re not is marketing and communication experts,” he said. So far, more than 90 schools across Sydney have signed up to PCC’s services, but Omozusi expects many more to follow. “Lately, we’ve had schools approaching us from other areas, such as outside Sydney, and what we’re finding is that we have to do some initial consultancy work before we can propose any solutions,” he said. To meet this need, PCC organises workshops – held either at the school or in their office depending on the principal’s preference – and discusses the ways in which these goals can be achieved. Omozusi said his organisation’s model involves helping schools build upon their foundation, culture, authenticity and values. “Once you have a well-branded school, you want to engage with your students, staff and community. We have developed solutions that have allowed schools to do that – and once you have a culture, it becomes authentic; a story schools can tell on a weekly, monthly or yearly basis to reinforce that brand,” he said.